When prosecutors dropped the charges that accused Jussie Smollett of orchestrating a fake attack, the outrage was swift and overwhelming. Smollett saw his record wiped clean without offering so much as an apology. Mayor Rahm Emanuel blasted the decision as a “whitewash of justice” and billed Smollett $130,000 for the cost of the police investigation. President Donald Trump called it a “national embarrassment” and promised a federal probe. The Illinois Prosecutors Bar Association said it was “an affront” to prosecutors across the state. But for all of the public fury, the two agencies that handled the case — the Chicago Police Department and the Cook County State’s Attorney’s Office — insist their relationship is strong, even if they didn’t agree on the outcome. The person who has taken the most heat for the decision is State’s Attorney Kim Foxx, who was elected in 2016 on a promise to reform an office that many believed was too quick to help police put minorities in prison. She said she recused herself from Smollett’s case before he was charged because she had spoken with a Smollett family member when he was still considered a victim. Even so, she defended the decision of her top assistant to drop the charges in exchange for Smollett’s agreement to forfeit his $10,000 bail payment. She said Smollett never would have gone to prison because the 16 charges were the lowest possible form of felony, “a step up from a misdemeanor,” and prosecutors needed to focus their resources on violent crime. She said Smollett was offered the same deal as many other defendants who don’t have a criminal record. Smollett, who is black and gay, claimed he was attacked and beaten by two masked men who shouted slurs and yelled, “This is MAGA country,” an apparent reference to President Donald Trump’s campaign slogan, “Make America Great Again.” Smollett also said the men doused him with a chemical and put a noose around his neck. Police worked for weeks to unravel the case, eventually concluding that Smollett paid two brothers $3,500 to stage the Jan. 29 attack because he hoped it would promote his career. Prosecutors “cannot be influenced by politics or celebrity,” and cases should be decided on their merits and independent of police influence, Foxx told television station WGN. Even though Smollett’s case did not call for jail time, his alleged actions were “nothing short of despicable and shameful,” said Craig Futterman, a University of Chicago Law School professor who has long criticized what he calls the cozy relationship between the police department and previous state’s attorneys. Smollett should have been “made an example,” including requiring him to admit his actions, said Futterman, who also praised Foxx for scrutinizing cases more closely. The actor maintains his innocence and says he was unfairly treated by police. Foxx’s office also should have explained its decision to police before charges were dropped “as a common courtesy,” Futterman said. Emanuel and Police Superintendent Eddie Johnson learned of the decision shortly before it became public, while attending a police cadet graduation ceremony. Foxx told WGN that she spoke to Johnson both during the investigation and after her office’s decision to drop the charges. Guglielmi credited Foxx with changes that have improved the relationship between police and prosecutors and improved the chances of obtaining convictions, including teaching officers how to write better reports. He also said she put prosecutors inside police districts every day to “get involved on the front-line level” on cases such as gun offenses. Even so, rank-and-file police officers were infuriated by the Smollett decision. The Fraternal Order of Police planned to protest the dismissal Monday outside the state’s attorney’s office, but said nobody was available Friday to comment. Coincidentally, Foxx and Johnson likely owe their jobs to the same case. Emanuel fired former Police Superintendent Garry McCarthy in 2015 following the release of dashcam footage showing a white police officer fatally shooting 17-year-old Laquan McDonald, who had only a small knife. He hired Johnson, a lifelong Chicagoan and career police officer, to lead the department in 2016, hoping he could help repair trust between the police and residents. 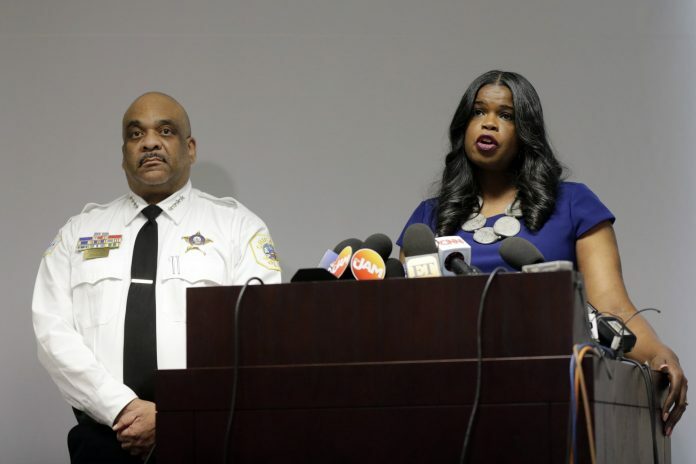 Foxx defeated two-term State’s Attorney Anita Alvarez, whose loss was attributed to voter outrage following release of the video, which showed officer Jason Van Dyke shooting McDonald 16 times. Alvarez did not charge Van Dyke with murder for 13 months, and the charges came just hours before the video was made public under a court order. 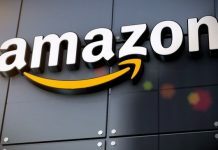 Van Dyke was convicted of second-degree murder in October and was sentenced in January to less than seven years in prison with the possibility of going free in three years with credit for good behavior. Three other officers who were charged with lying about the shooting to protect Van Dyke were acquitted by a judge in January. Futterman questioned Emanuel’s reaction to Smollett’s case, saying the mayor did not address false arrests, civil rights violations and the police code of silence “until his hand was forced.” He said blaming Smollett for harming the city’s reputation is unfounded. Johnson, for his part, says he’s ready to put the Smollett case behind him.